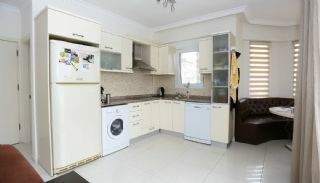 Flats are located in Belek Center. 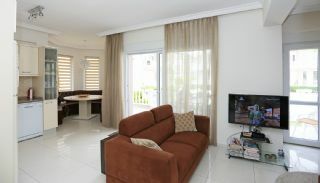 This region is a calm and modern residential is for family life and a wonderful holiday. 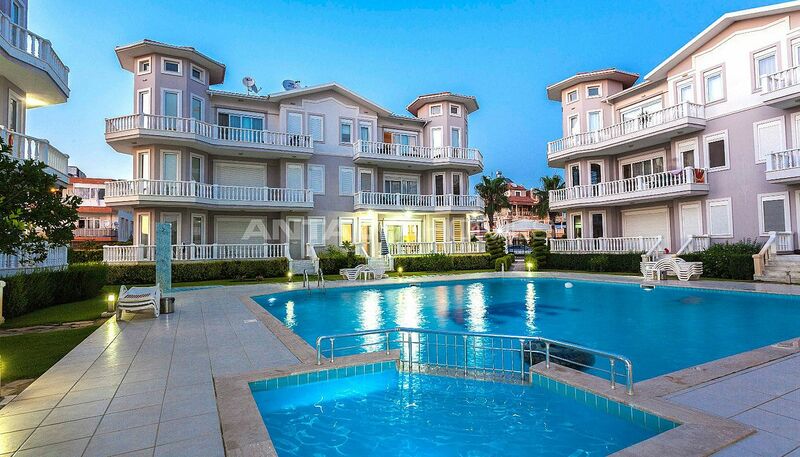 Belek has some of the cleanest and nicest sandy beaches in Turkey. 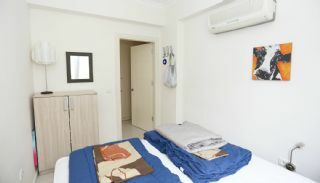 The area is fast growing and developing vacation city. 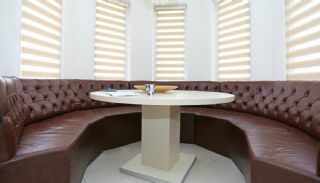 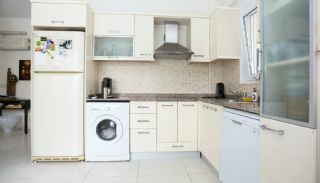 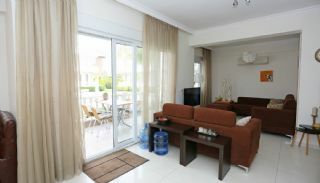 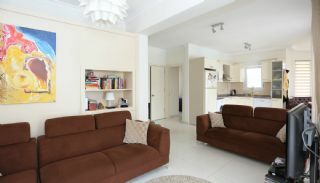 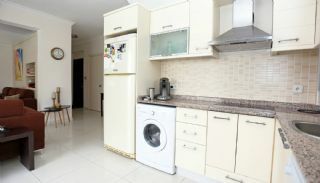 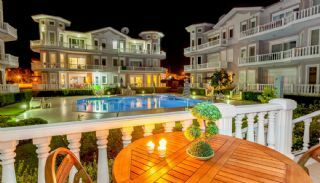 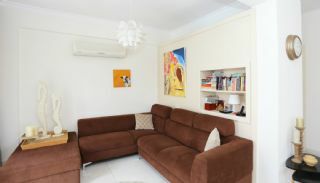 Ready to move flats are 2 km to the beach, 33 km to the International Antalya Airport and 5.5 km to the nearest Golf Club. 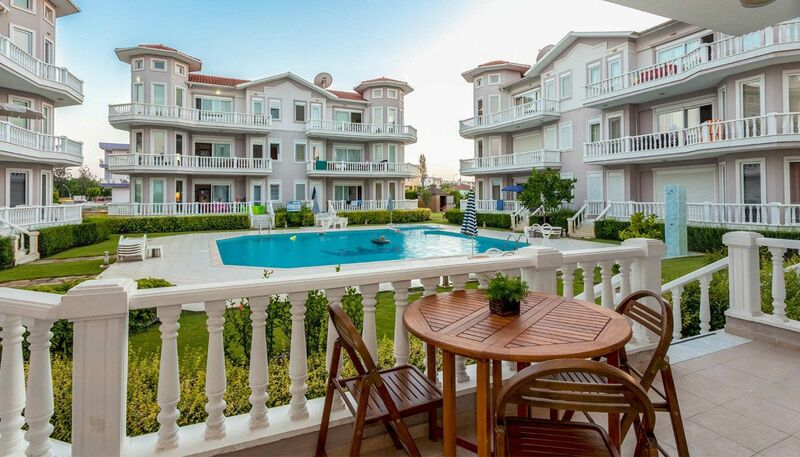 Belek flats for sale are close to all daily and social amenities that you need. The residential complex consists of 4 blocks and a total of 24 flats. 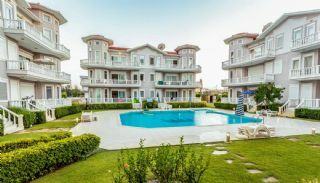 There is the outdoor swimming pool, outdoor car parking area, caretaker, security camera system and well-designed garden in the residential complex. 3+1 ground floor flat is 115 m² with a living room, 3 bedrooms, an open-plan kitchen, an en-suite bathroom, a bathroom and 2 balconies. Belek flat is adorned with first-class materials such as the kitchen appliances, shower cabin, blinds, satellite TV system, steel door, PVC windows and furniture. 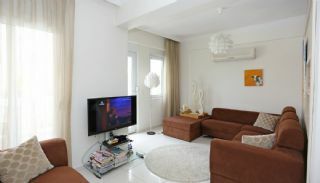 Note: During the sale, the real estate agent commission is charged by the buyer. 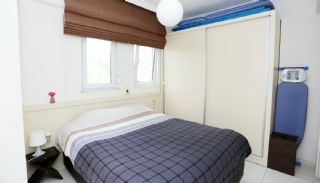 This flat is SOLD OUT.